This adorable ladies backpack is the newest trend for Korean girls bands! Recently, we’ve seen members of Dreamcatcher (previously MINX) and the “all-natural” band Highteen toting around this pack. As it turns out, the backpack in question is Vogatha’s Hera Backpack. Actually, the brand produces all natural, eco-focused bags! The collection includes a range of bags, from casual eco canvas totes to more high end bags. It’s always exciting to see stars backing conscious brands, as it raises awareness. In this case, it’s particularly good to see an environmentally friendly ladies backpack! Highteen brands itself proudly as an all-natural girl group. That’s a huge step for an industry known for its cosmetic surgery and high pressure environment. As a group with a mission, it’s no wonder they chose a brand on its own mission. Eun jin with her own Hera Backpack! But it’s not just Highteen getting in on the fun with Vogatha. We’ve also seen Dami and Gahyun from the more senior band Dreamcatcher with the same bag. While Highteen only recently debuted at the end of 2016, Dreamcatcher launched in 2014 under the name MINX. They rebranded since, but are just as popular as ever. 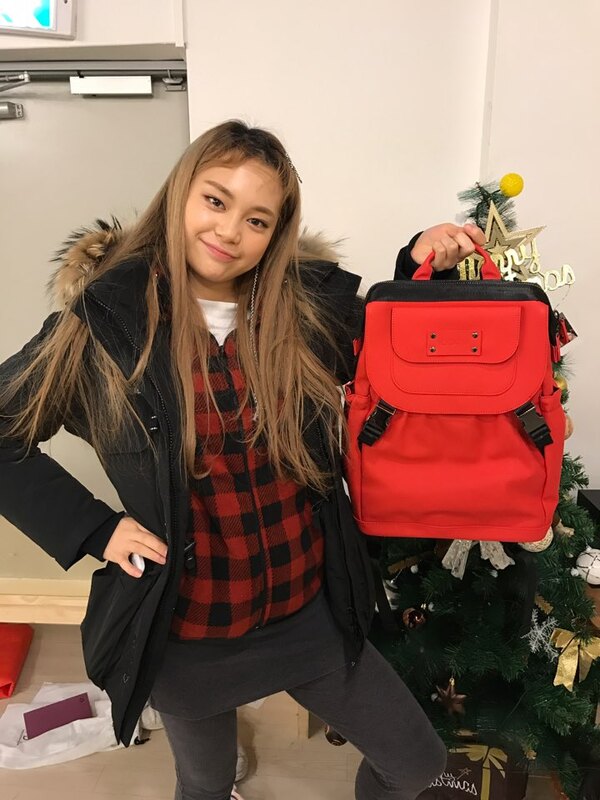 Gahyeon showing off her new ladies backpack! Vogatha’s Hera Backpack is an all-purpose, functional backpack great for everyday use. It has a large interior compartment with a laptop sleeve, and big front and side pockets. The zip closure at the top is almost like a clutch bag, giving the bag a unique feature and shape. It also comes in a variety of colors to suit your style – you can see the various members of Highteen have chosen their own! Scroll down to see more photos of Dami, Hye Bin, and Hye Ju from Dreamcatcher and Highteen showing off their Hera Backpacks. You can purchase your own at www.vogatha.com! 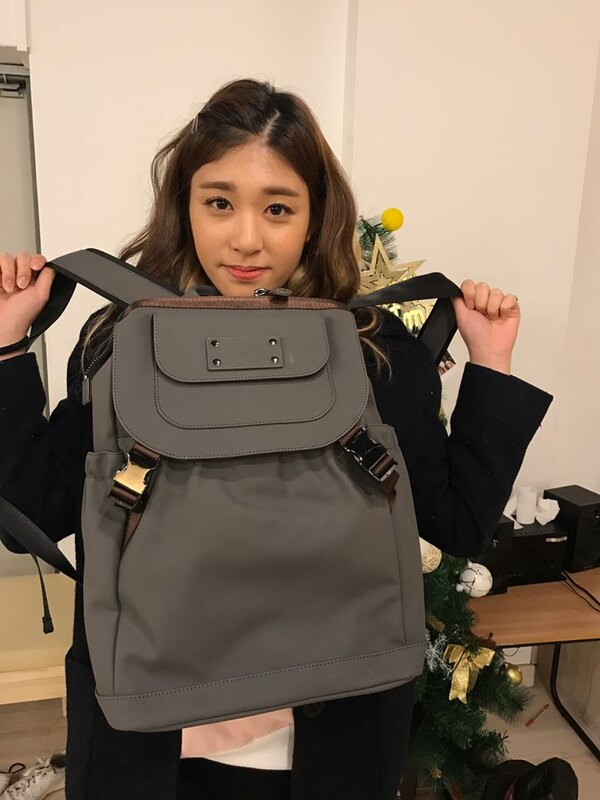 Share the post "Super Cute Ladies Backpack: Korean Idol Fashion"
Posted in CELEBRITY'S PICK and tagged backpack brand, dreamcatcher kpop, eco backpack, eco fashion, hera backpack, highteen kpop, korean idols, kpop fashion, ladies backpack, VOGATHA, vogatha hera backpack, women's backpack. Bookmark the permalink.